Thank you so much for considering Clumpies to be a part of your next event! We would love to find a way to make your event special. We're convinced there is no better way to celebrate than with ice cream! Please take a look at the brochure outlining our catering services. We also have our ice cream truck and carts out at special events around town like the Chattanooga Market and Nightfall, so check our social media accounts for where to spot us next! 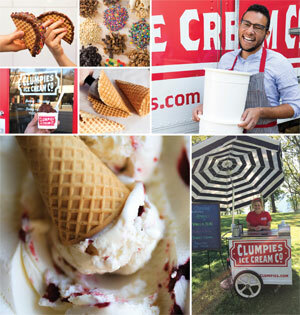 Want to bring Clumpies to your next event? 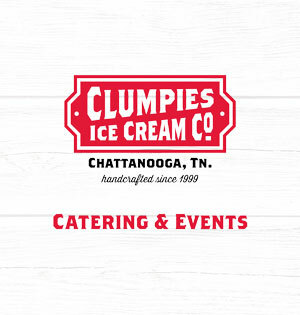 Fill out the Catering Interest Form below and we’ll contact you about opportunities for Clumpies to be present at your event.